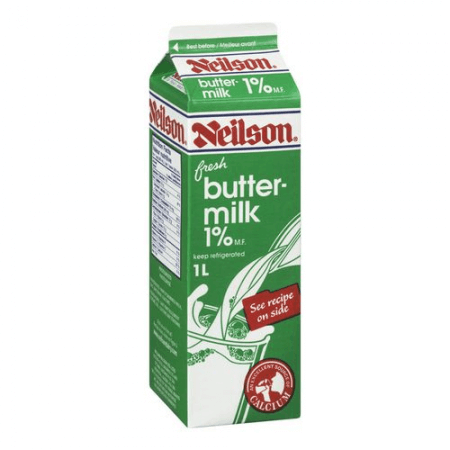 Some people say you should never use buttermilk as a substitute for heavy cream (and vice versa), while others believe that it’s completely fine to use one if the other is not available. If you are one of the people who could not even decide which theory to believe, this article is for you. Originally, buttermilk is the liquid that is left after churning butter from fermented cream. This type of buttermilk is called “traditional buttermilk.” Nowadays, however, cultured buttermilk is more readily available than the traditional version. In fact, it is the kind of buttermilk that can be found at grocery stores and supermarkets. Both traditional and cultured buttermilk contain lactic acid which makes it thicker than regular milk. However, cultured buttermilk is more viscous than traditional buttermilk due to its cultured additives: Lactococcus lactis or Lactobacillus bulgaricus. Buttermilk is sour because of the naturally occurring bacteria that ferments lactose. Because of its tangy flavor, buttermilk is widely used as a flavoring agent for baked products. It is also preferred by many as a leavening agent because its lactic acid reacts with baking soda, resulting in moist, fluffy baked goods. Buttermilk can also be used in cooking and marinating meat (its lactic acid makes the meat tender). A single cup of buttermilk contains almost 100 calories and a little over 2 grams of fat per cup. It contains small amounts of potassium, calcium, phosphorous, and vitamins. On the other hand, heavy cream, also known as “heavy whipping cream,” is a thick and fat-rich cream with a faintly sweet flavor. Just like any other type of cream, heavy cream is produced by separating the liquid and fat solids in unhomogenized milk. What sets heavy cream apart from the other types of cream is its fat content. Heavy cream has up to 40% fat which makes the food flavor-rich, soft, and moist. It is widely used as an ingredient in baked products because it creates fluffy crusts. It is not, however, used as a leavening agent because it is not acidic and does not react with baking soda. It is also perfect for cooking and making soup and sauces. It can be whipped and even made into ice cream. What, then, is the difference between buttermilk and heavy cream? Traditional buttermilk is produced after churning butter from fermented cream. Cultured buttermilk is made by adding Lactococcus lactis or Lactobacillus bulgaricus to low-fat milk. 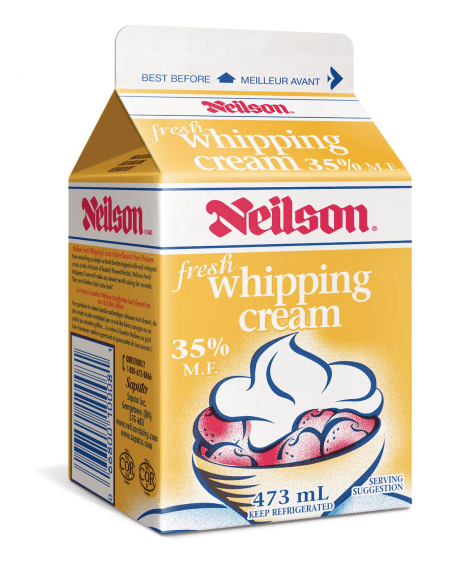 On the other hand, heavy cream is produced by separating the fat solids from the liquid in unhomogenized milk. Buttermilk has a little over 2 grams of fat per cup and is tangy and acidic, whereas heavy cream has almost 40% fat content, and is slightly sweet. Additionally, buttermilk is used as a flavoring agent, leavening agent, or a marinade, while heavy cream can be whipped, used to make ice cream, or as an ingredient in sauces, soups, and baking.